Value for money nickel plated trophies in tall trophy cup design with bakelite plinths and optional plinthband. Ideal trophy for general sports awards. 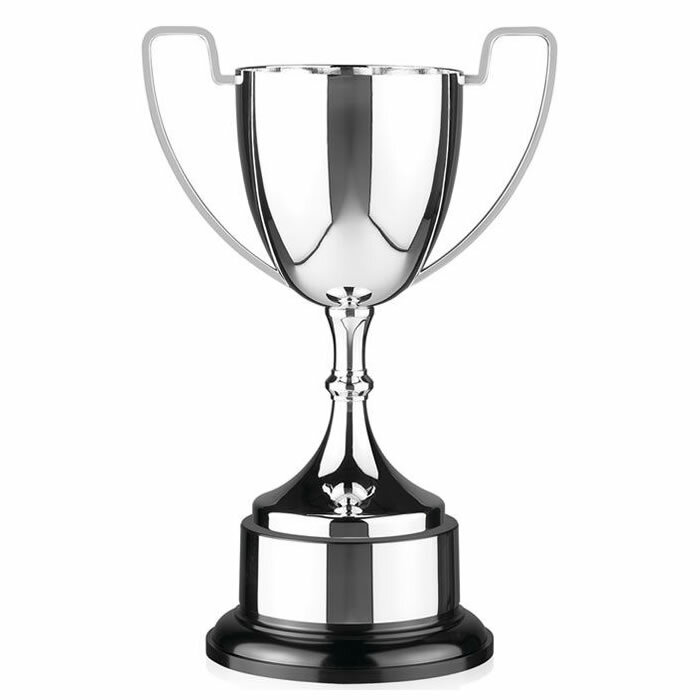 Can be engraved on both the trophy body and/or the optional plinthband. Stands 15.75in (400mm) tall.